Two guest artists from France join the Fine Arts Quartet to reprise a January Bordeaux concert. Romain Descharmes. Photo from Facebook. For the third Summer Evenings of Music series concert at the University of Wisconsin-Milwaukee this Sunday evening, the Fine Arts Quartet (violinists Ralph Evans and Efim Boico, cellist Robert Cohen and violist Juan-Miguel Hernandez ) welcomes a violinist and pianist to participate in a rarely heard work by Ernest Chausson. Born in 1985, guest violinist Pierre Fouchenneret has begun a distinguished career. His awards include Grand Prize of the International Competition of chamber music in Bordeaux. His recordings have included Beethoven’s complete sonatas for violin and piano as well as recent cycles of music by Fauré and Brahms. In a French radio interview, Fouchenneret explained that he had listened to Fine Arts Quartet recordings during his childhood and loved the sound of Evans’ violin, dreaming to meet him and the Quartet one day. Last January, Fouchenneret was able to play Chausson’s work with the Fine Arts Quartet at a series of concerts in France. Pianist Michael Kim, Director of the University of Minnesota School of Music, was scheduled to play the Chausson. In a last-minute change, Romain Descharmes, a long-term collaborator with Fouchenneret, will fly in from France to reprise his part in the January concerts with the Fine Arts Quartet in France. 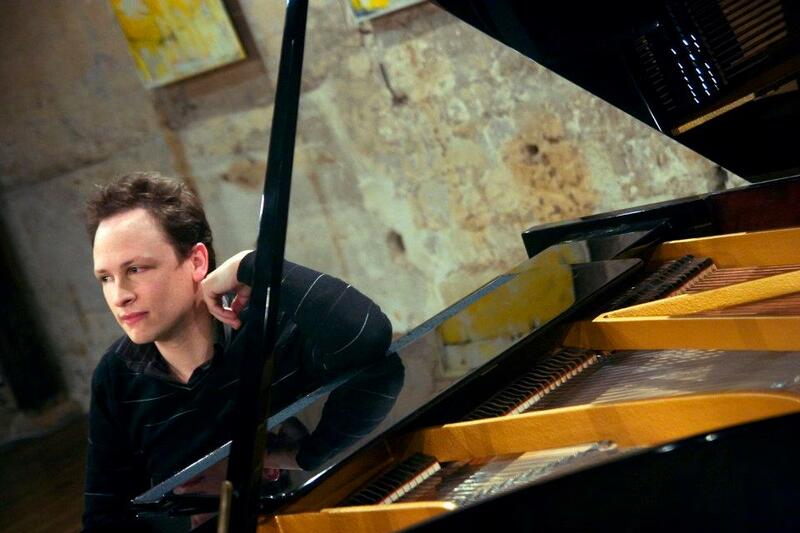 Descharmes was awarded First Prize in the Dublin International Piano Competition in 2006. He has performed at Carnegie Hall, London’s Wigmore Hall and stages in Japan and China. He appears with Fouchenneret on the Beethoven sonata cycle listed above. The Fine Arts Quartet will open with a spirited work by Felix Mendelssohn, his String Quartet in D Major, Op. 44, No 1 (1838). This ambitious work seems tailored to the Fine Arts Quartet – a high energy opening and conclusion, lyrical center sections and an especially virtuoso role for the first violin. Critic Misha Amory views the first movement as an “epic creation, built on a grand scale. Full of energy, it seems in its biggest moments to have trombones and timpani straining to make themselves heard through the slender medium of the quartet. Although it is technically composed in a sonata-allegro form, the experience of hearing it evokes not so much a strict form as an odyssey, a journey to many different lands.” After a “smooth as silk Minuetto” and a “wistful” slow movement, the quartet concludes with a driving saltarello dance. With only two works on the program, each will compete for attention – a memorable, but familiar string quartet and for most a dramatic new experience featuring the culmination of the 19th century romantic era. The Sunday, June 18 concert begins at 7:30 p.m. and will be preceded by a pre-talk at 6:30 p.m. Tickets are free for the series, but seating is assigned. Tickets may be reserved on-line at the University of Wisconsin-Milwaukee Peck School of the Arts box office or at 414-229-4308. The Zelazo Center is located at 2419 E. Kenwood Blvd. Parking is available in the Zelazo Center lot, to the south of the building, and in the Union parking garage across Kenwood Boulevard. The last concert in the Summer Evenings of Music series takes place Sunday June 25. The Fine Arts Quartet will welcome frequent guest violist Gil Sharon and cellist Alexander Hülshoff for a concert featuring works by Anton Bruckner, Fritz Kreisler and Arnold Schoenberg.